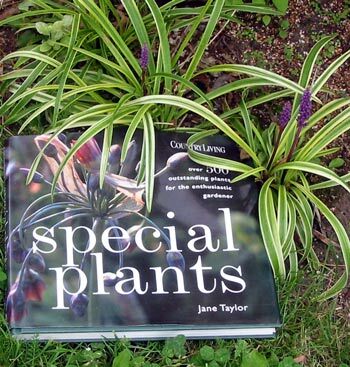 In keeping with its title, Special Plants is a very special gardening book. Jane Taylor, photographs by Marijke Heuff, et al. This book appeals to my sense of style. In fact it makes me feel stylish. Upon reading the introduction, which told me the book was "intended for the discerning gardener", I felt that as a gardener I'd been personally complimented. I love all the plants that the author writes about in her book - and what brilliant choices she has made. Every plant mentioned has had to earn the right to be here, by performing and behaving in the garden. A plant doesn't just need to have an up-market price tag to get a mention - there are no hidden nursery agendas. It has to have something definite to offer the gardener.